Select interested product from above. Click on the product to view price/options. Add to cart quanities desired of basic product. Click "continue shopping" to add other options. 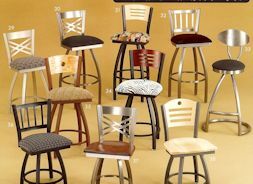 metal swivel bar and counter stools with backs. 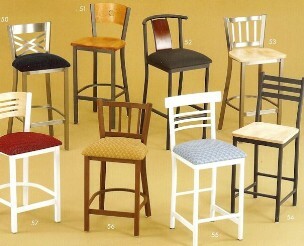 Selected bar stools available to 36" seat height. 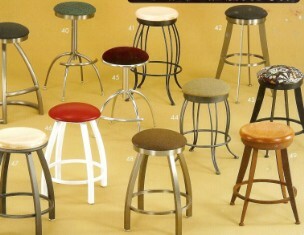 Swivel bar and counter stools available 18-36" seat height. Oak or maple with turned or smooth legs. Pub tables available in a variety of sizes. Select pub tables available with college, NHL or Military logo. Metal swivel bar and counter stools without backs. Several available in seat heights of 18-36". 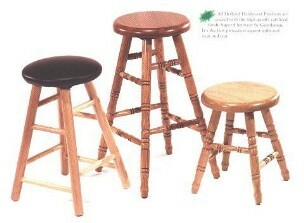 Fixed seat bar and counter stools, 25 or 30" heiight. 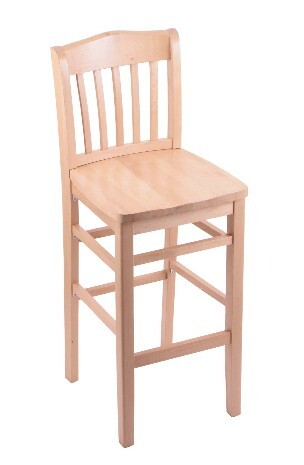 Solid beech bar and counter stools available in 25 o 30" seat heghts, wood or upholstered seat.